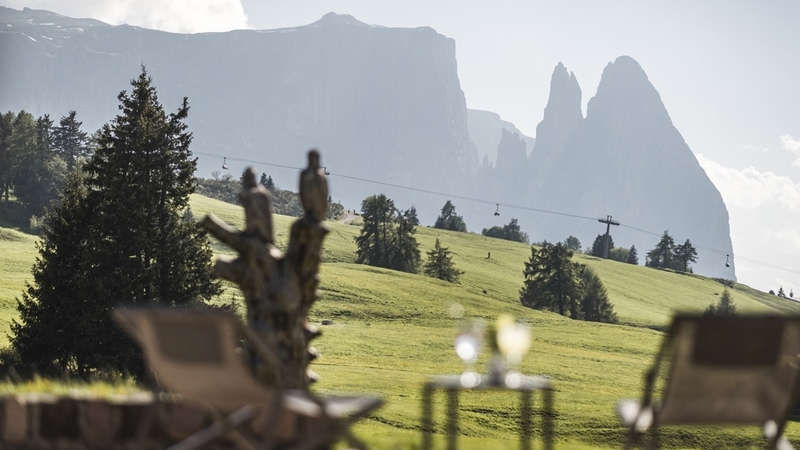 Holidays on Seiser Alm, the largest alpine pasture in Europe, ideal for families and active vacationers. 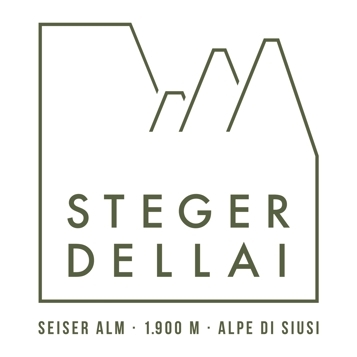 Welcome to Hotel Steger Dellai**** on Seiser Alm! Our Hotel Steger Dellai**** is situated on the magnificent high plateau of Seiser Alm pasture. The unique philosophy, the familiar atmosphere and the inviting premises are owed to the couple Paula Wiesinger and Hans Steger, two famous alpinists. Their love for Seiser Lam and the Dolomites survives in our wonderful hotel still today. In the middle of the dreamlike Dolomites, our guests are offered comfortable rooms and suites, which are furnished with much wood. They all offer a sofa bed in the living area, a bathroom with hairdryer, phone, satellite TV, safe, minibar and free WLAN. The suites also have two separate bedrooms. Gourmets will look forward to culinary specialities of the South Tyrolean and Mediterranean cuisine, which can be enjoyed on the sun terrace, in the traditional dining rooms or in the panoramic restaurants. Relax in our wellness oasis “Luxury of Peace” on 2,000 m² with Tyrolean sauna, blossom steam bath, infrared cabin, solarium and laconium. The natural bathing pond, the brine rock grotto, the Kneipp course and the cold grotto offer pleasant refreshment. Various massages and beauty treatments can be enjoyed as well. The entry to the gym is free. Your children will look forward to the playroom and to the playground in the garden. Holidays at Hotel Steger Dellai are an unforgettable experience at any season. Participate at our weekly activity programme and start excursions, climbing tours and bike tours on Seiser Alm and environs directly from the hotel. In winter, our house is situated nearby a ski lift for children. As well, perfect conditions are offered to lovers of cross-country skiing, sledding and snowshoe hiking. Hiking sticks are available for rental on site all over the year. Double room with living area and pull-out couch, view to Mt. Bullacia/Puflatsch, north-facing balcony, bathroom with shower, toilet, beauty mirror, hairdryer, telephone, Sat-TV, safe, minibar and Wi-Fi (free of charge). Double room with living area and pull-out couch, view to Sciliar/Schlern, south-facing balcony, bathroom with shower/bathtub, toilet, beauty mirror, hairdryer, telephone, Sat-TV, safe, minibar and Wi-Fi (free of charge). Single room with small corner seating, bathroom with shower, toilet, beauty mirror, hairdryer, telephone, Sat-TV, safe, mini bar and Wi-Fi (free of charge). Babyphone, Vegetarian food , Home made products, Food for people with food allergies, Diabetic food, Gratis Skibus, Deckchair, Ski depot in the house, Hiking Guide, Live-Music, Multilingual receptionists by day, Shuttle service (train station, airport), Pets allowed, laundry service, Snow boot dryer, Room service, Shuttle service, Bike deposit, Family-friendly, Children's meals, Secured storage spaces for bikes and motorbikes, On the slopes, Quiet position, above 1000 m a.s.l.